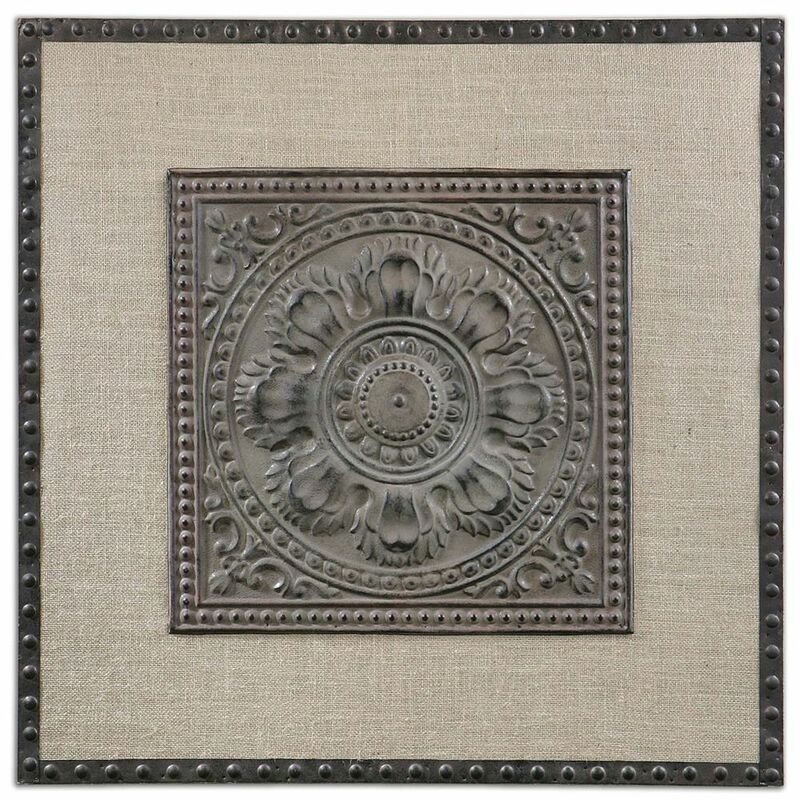 The following are detailed specifications about the Uttermost Filandari Stamped Metal Wall Art. 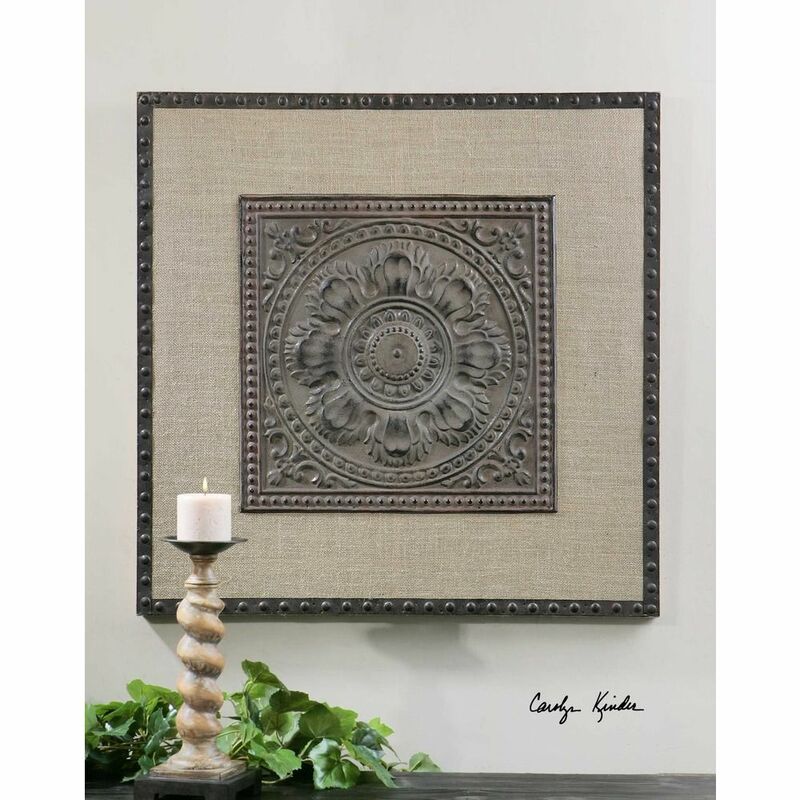 Traditional wall artLightly Stained Burlap Matting With Stamped Metal Details Finished In Rust Bronze With A Light Tan Wash. 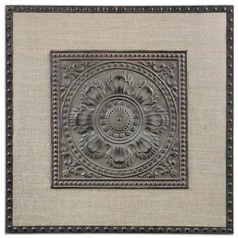 This Uttermost Filandari Stamped Metal Wall Art is part of the Filandari Collection from Uttermost Lighting. 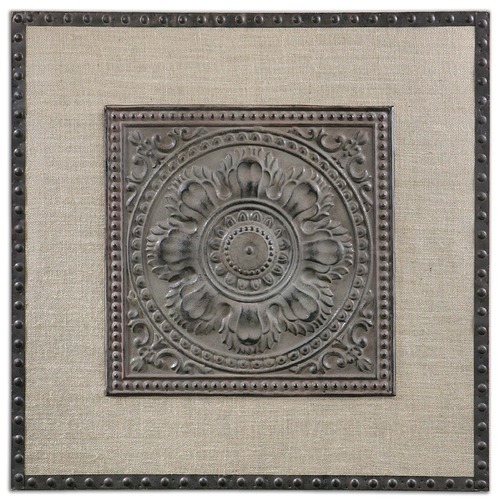 The following items are also part of the Filandari Collection.